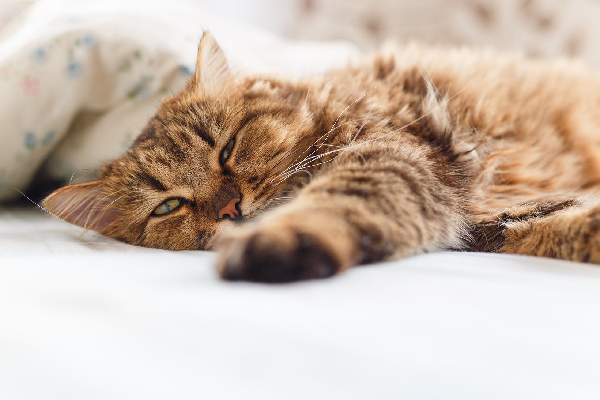 Next on The Scoop: Wondering What to Feed Your Cat Based on Age? A friend in Hawai’i during dinner a few years ago mentioned that a black cat had crossed his path the previous day while he was en route to some big, math-related test for his big, math-related master’s degree. When he specified that it was a black community cat (the University of Hawai’i has a big community cat population), our group gave up three simultaneous reactions to black cats. “Aww!” I said, because I’m me. And because I enjoyed the company of the University of Hawai’i community cats more than most students. “Oh!” said my Japanese friend — with a smile. Black cats are lucky in a lot of cultures. Photography ©earth2015 | Thinkstock. Unlike much of the western world, Japanese culture sees a black cat crossing your path as a good omen. In fact, black cats are generally seen as good luck in Japan and much of Asia. My Chinese mother, the Feng Shui master, specifically put her black cat’s bed on the north side of her home to ward off evil. I think Tiptoe just likes that her bed is nearest the coveted space heater in the winter. 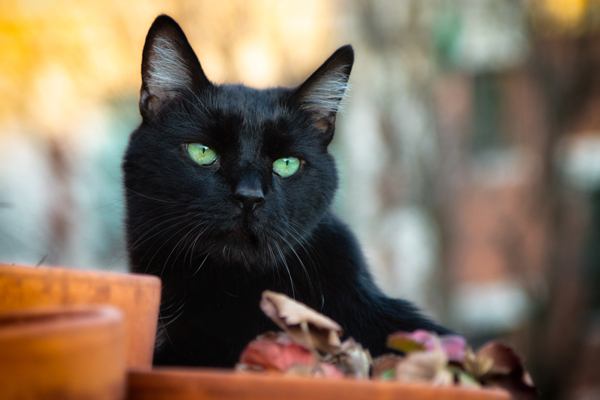 Halloween is near (plus — October 27 is Black Cat Day and October is Black Cat Awareness Month), and although black cats are associated with the day, black cats still get a bad rap. Some people adopt black cats only to use them as props for Halloween costumes, and some shelters don’t adopt black cats for all of October. Abuse of black cats, sadly, is one of the real horrors of Halloween. Black cats are known to bless marriages. Photography by ueuaphoto / Shutterstock. English superstition says that giving a bride a black cat on her wedding day will bring her good luck in her marriage. 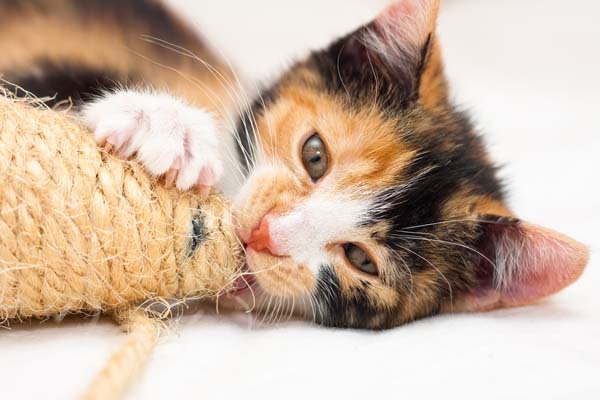 It’s also thought that newlyweds with a black cat in their home will have a long, happy life together, and the black cat will ward off evil spirits. In much of the UK, the black of a cat is a lucky color. While I don’t necessarily condone giving cats as gifts, newlyweds or spouses-to-be should rejoice in sharing their home with a black kitty. 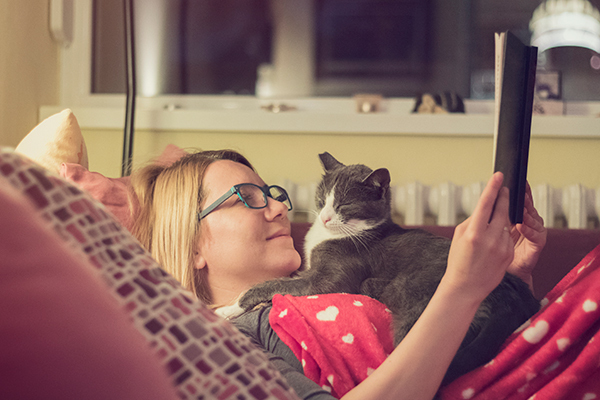 If you’re a woman still looking for that special someone, Japanese superstition says a black cat will bring a single woman many good suitors. You might have seen the “Fortune Cats” or Maneki Neko that populate Japanese culture. Those little cat figurines with the raised paws are meant to draw good luck, wealth and prosperity to their owners. Often they are white, but Lucky Cats also come in black. Also, as my Feng Shui-inclined mom says, black cats possesses strong powers of good. If you keep your black cats happy and safe, they will keep you happy and safe. If you don’t have a black cat in real life to guard your home, a black cat figurine facing north will keep bad energy and spirits away. And while we’re on the subject of gods and demons, in Norse mythology the goddess of love, fertility and beauty, Freya, rides on a chariot pulled by two black cats. To win favor with Freya, farmers would leave bowls of milk for her companions in their fields. Freya would then bless them with a good harvest. Cats are excellent audience members. Just ask my cat Brandy when I am moved to dance when my playlist cycles through to “Build Me Up Buttercup.” To theater folks in many cultures, there is no better audience member than a black cat. If a black cat finds its way into your audience on opening night, your play will have a long and prosperous run. It’s also been long believed that black cats invite not only fortune in the way of good luck, but also in the way of wealth. French peasants long believed that if a black cat was released at a crossroads where five roads intersect, the black cat would lead them to treasure. English sailors could probably have used a matagot in their home to bring them some extra wealth. In ye olde times, black cats were thought to be so lucky and such and assurance that sailors would return safely home from sea that many black cats cost so much as to be unaffordable for seafarers. 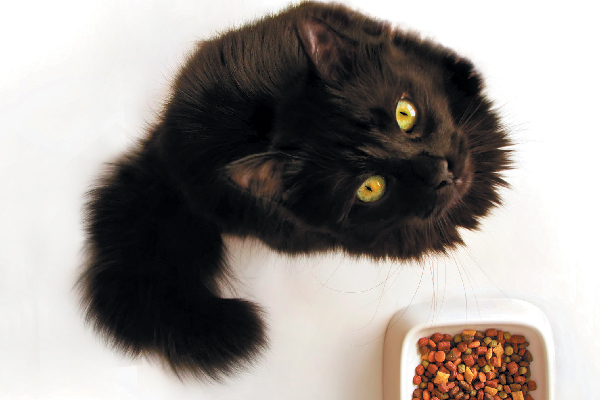 Black cat or not, I’m sure most of our feline family members would agree that having the first bite of our dinners is well within their rights. 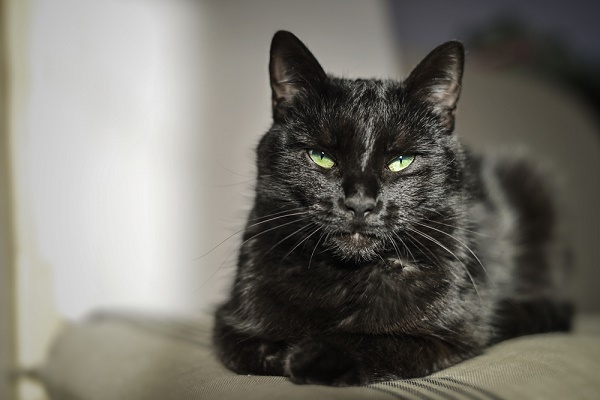 Tell us: How has your black cat brought YOU luck? Thumbnail: Photography by Vincent Mounier / Shutterstock. About the author: Louise Hung is a morbidly inclined cat lady living in Hong Kong, with her cat, her man, and probably a couple ghost cats. You can follow her on Twitter or drop her a line at IamLouiseMicaela@gmail.com. Has a Black Cat Ever Been Your Lucky Talisman? “Hey kitty where ya going “? home in my bed . Moral to my story ppl is that I’m knew to the black cats world but I can def say there Aura is amazing he literally claimed me ???? I adopted two black cats about 4 years ago. Siblings, brother sister pair – sweetest cats I have ever had the honor of living with. I knew them spiritually long before their physical arrival. They guided my life choices so I would retire early and live on the coast of beautiful NoCal in a huge 4000sqft home. When all that was in place, they came to me, and are now my best friends. Black cats are truly magical. I have two black cats, they are not siblings but they are definitely adorable. The younger is female and the older is male. Lily and Willy… Lily copies everything Willy does and they are both the most affectionate cats I’ve ever seen and I’ve had a high number in cats growing up… But I have to say these are the most memorable and I’ve had quite the good luck since I’ve had them…. I know what it’s like to be owned by a black cat. It’s an incredible feeling. They have some of the BEST personalities, don’t they? I’ve been hugged, groomed, nudged by these beauties, and they aren’t just sweet. They’re there for us when we need them, and sometimes, they can be downright silly!!!!! Being owned by such a gentle loving soul such as a black cat can be great for your health!!!! I have twin “house panthers” and can’t imagine my life without them – they’re brother and sister but as different in their personalities as if they came from different continents. Beau (the brother) found a lost earring for me once…though I suspect that Millie (the sister) stole it in the first place to play with! In Scottish culture, cats guard the Otherworld and protect the soul. Don’t be afraid. Your cat is just doing its job. Be kind to kitty. but late but be kind to him and love him, then he will love ya back! :) its just a coincidence, a gift to make ya feel happy! Because of the four syblings,he would have been the least adoptable. Only thing better than having a black cat is to have two of them. And the only thing better than two of them is when they are siblings. I’ve had my Qween 12 years now. I got her on a dark nite after she ran out in front of me and I rolled with my car, she wasn’t hurt but my 1st thought was, “Oh crap, I’ve just run over and killed a black cat”. I pulled over to see how bad she was hurt, but what did I see ? , this little maybe 3 month old little girl running towards me meowing up a storm. I’ve had her ever since, she’s my muse, when she’s cuddled up in my lap I have some of my best creative ideas ! My black cat Jasper approves of my black cat ears, black cat earrings, black cat Halloween shirt and black cat watch for Halloween. He was the lucky one when we rescued him as a 3 week old orphan 6 years ago. Now I’m totally hooked on all things related to black cats! Very nice article, however I questioned the part where you said Freya’s chariot was pulled by two black cats. In all the literature I’ve read and paintings I’ve observed, the cats were never portrayed as black. They were usually depicted as striped cats, tabbies, but were never shown or described as being black. What source did you use that specified Freya’s cats as being black? Other than this one discrepancy I thought it was a very enjoyable article! I have always heard that Freya’s cats were grey! I guess time passes and stories change. But I love grey cats, every one I ever met (including the one that lives with me now) was nuts, but in the funniest, most endearing ways. LOVE LOVE LOVE this :) !!! I have 2 black cats and they are beauties. They are scrumptious treats every day of the year! Boo and Henry Wadsworth Longfellow, a.k.a. 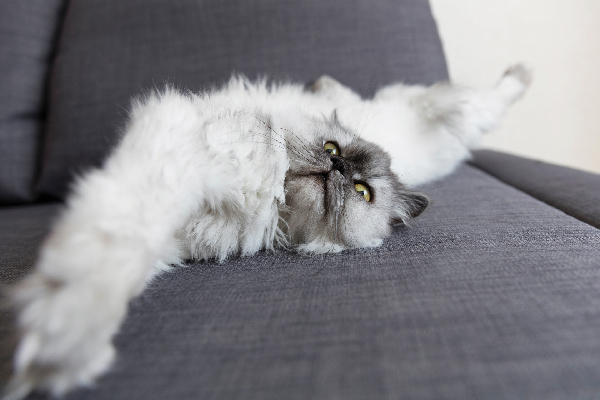 The Bean are fun, affectionate, playful, and awesome companions. I’d probably have a dozen or more if I could, because I’m magically drawn to the beauty and mystery that is the Black Cat!! So, I guess I’m LUCKY to have a double dose of Black Cat LUCK!!! And they come to you! Love the black and they will love you. They are not only beautiful but are loyal and protective, always watching for you. I have always been a horse and dog lover, yet black cats seem to come to me. It’s a very special feeling when they show up. This time I did get two and they are sisters. How lovely!